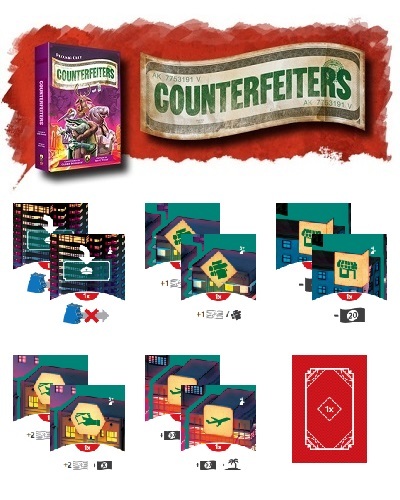 View basket “Counterfeiters: Action Improvements” has been added to your basket. A small set of stretch goals from the Kickstarter campaign for Carson City: Big Box. 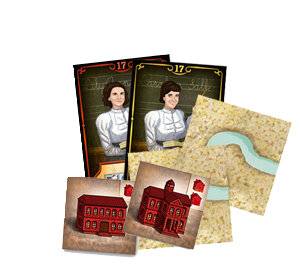 This promo pack includes a teacher personage, the town hall tile and a set of river tiles. It does NOT include a notepad, to allow for cheap envelope shipping. The rules are available for download here. Please note that these promo items are already included in the Big Box. 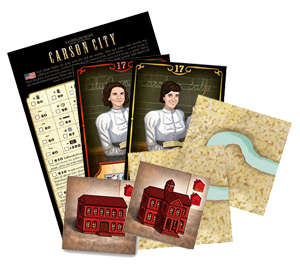 A small set of stretch goals from the Kickstarter campaign for Carson City: Big Box. 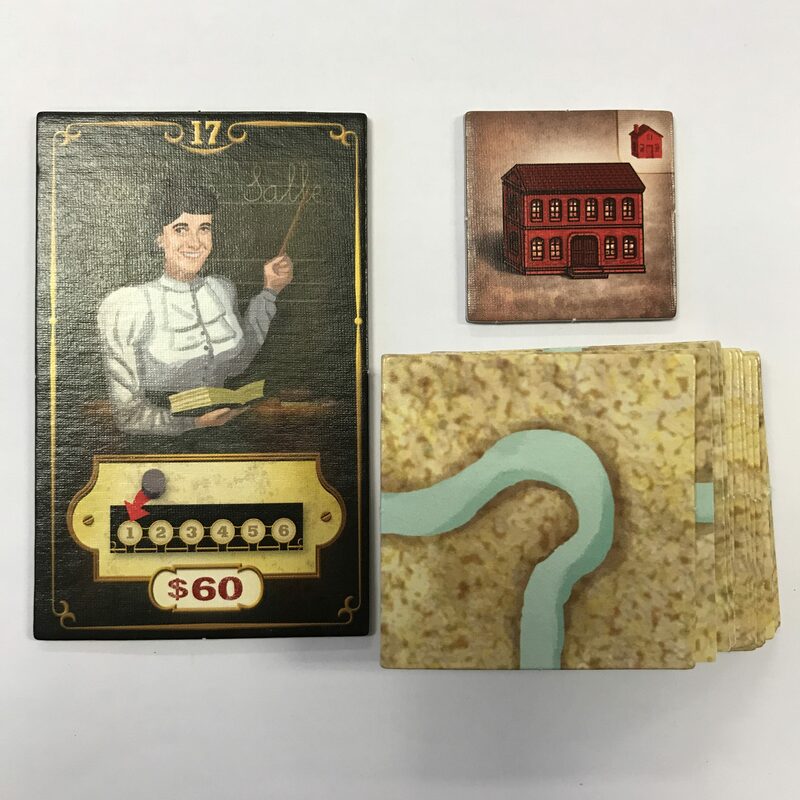 This promo pack includes a notepad, a teacher personage, a set of river tiles and a town hall tile. The rules are available for download here. Please note that these promo items are already included in the Big Box. 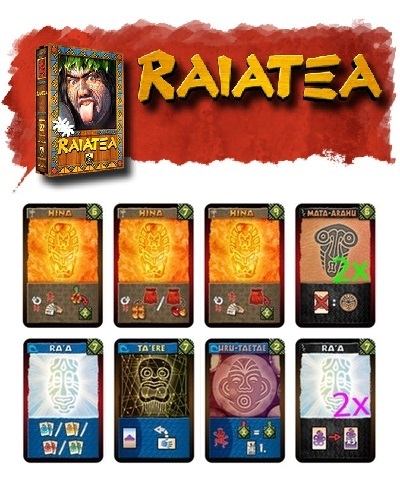 This item contains 10 Additional Ritual Cards to be used with Raiatea. This was a Stretch Goal in our Kickstarter Campaign, and is now made available separately. 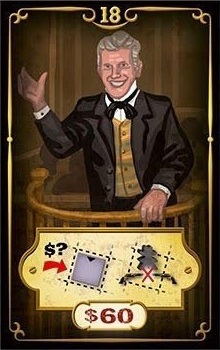 This item contains 10 Action Improvement Cards (5 sets of 2 cards) to be used with Counterfeiters. 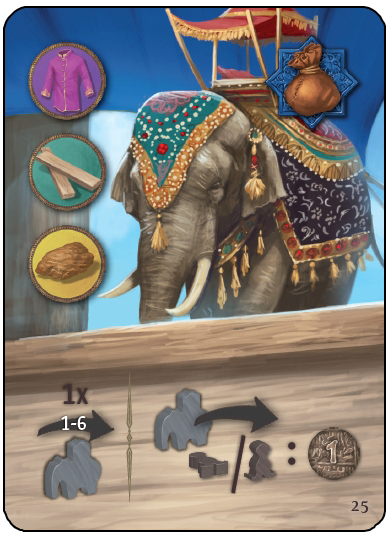 This was a Stretch Goal in our Kickstarter Campaign, and is now made available separately. 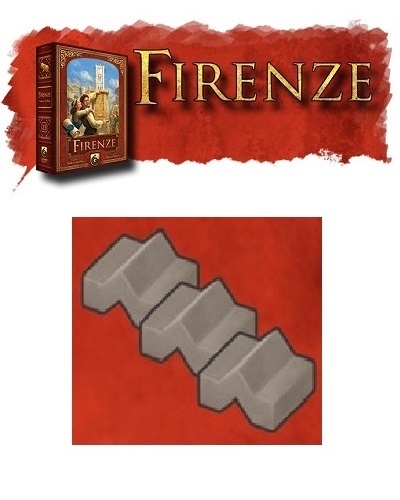 This item contains 3 grey Joker Bricks to be used with Firenze (any edition). 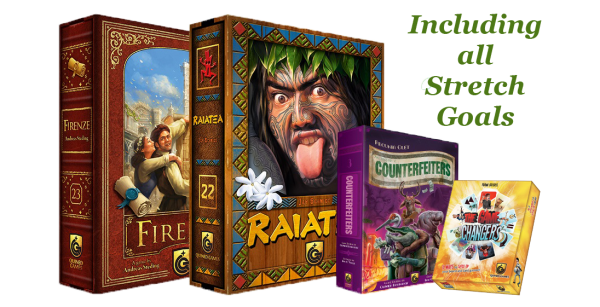 This was a Stretch Goal in our Kickstarter Campaign, and is now made available separately.